Anthony Stellini of RSR says the “new Eastside” of L.A. has become more attractive for celebrities, families and everyone in between. Neighborhoods like Silver Lake and Echo Park are gaining popularity due to comparative affordability, neighborhood amenities and school districts. Silver Lake’s median price was $984,500 in July, while Brentwood (another celebrity favorite) costed $1.825 million, according to Redfin data. 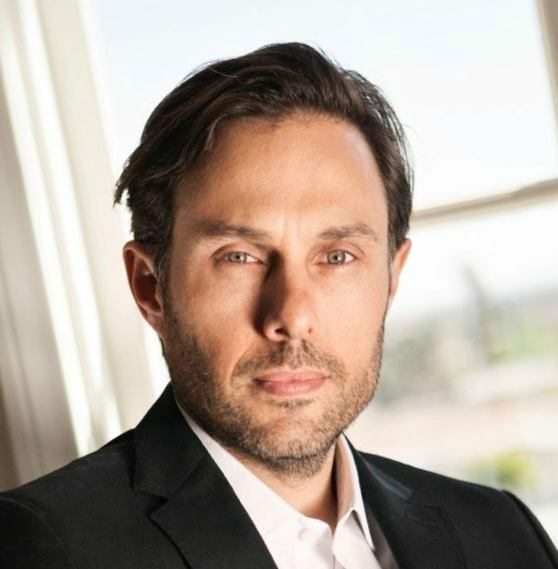 Anthony Stellini of Rogers+Stellini+Ritt (RSR) has lived in Los Angeles his whole life, surrounded by the entertainment industry and even dabbling in Hollywood himself before transitioning into real estate 12 years ago. As a native and a seasoned real estate professional, Stellini says the “new Eastside” of L.A. has become more attractive for celebrities, families and everyone in between. Not to be confused with East L.A., the Eastside encompasses hipster havens like Silver Lake, Echo Park, Beachwood Canyon and Los Feliz. Working alongside agents Sherri Rogers and Elisa Ritt, Stellini and RSR operate under luxury residential brokerage Nourmand & Associates. Beyond the aforementioned trendy neighborhoods, RSR services Laughlin Park and the Oaks, among other in-demand areas of L.A. According to Stellini, this area is growing in popularity due to comparative affordability, unique neighborhood amenities and competitively ranked school districts. Jon Hamm, Katy Perry, Ashton Kutcher, Ryan Gosling, Chris Pine and Rooney Mara are just a few of the big names who have places in the Eastside. Benefitting both stars and everyday people, Stellini says each neighborhood is scattered with mom-and-pop shops. There’s a better sense of community on the Eastside, he says, which is somewhat rare in a large city otherwise congested with big corporations and brands. Stellini says the Eastside is absolutely representative of a seller’s market. While the Eastside might be deemed affordable when matched up against prices in the other celeb-favorited neighborhoods, such as Brentwood and Pacific Palisades, lack of inventory and heightened demand is changing the market. Across the city, home prices in L.A. rose 7.1 percent in July to $600,000, according to Redfin. Redfin data shows Silver Lake’s median price grew 7.6 percent annually in July to reach $984,500. Silver Lake saw 79 home sales in July, a 16.2 percent jump in volume from last year. But in Brentwood, median price grew 36.4 percent year-over-year to a whopping $1.825 million. Nonetheless, there was a 13 percent drop in sales volume to 127 properties in July, Redfin reports. Other celebrity hotspots, such as Beverly Hills and Malibu, posted respective median homes prices of $2.13 million and $2.195 million in July.